In fact, this is not just about birds; almost all creatures that make pleasant sounds (except us) never make a note out of key. Birds don't sing in a key. Keys are human cultural constructions with some basis in physics, but primarily just artful constructions of a sentient mind. In fact, when you hear a parrot or something similar attempt to mimic human song, it's not nearly as "in key" as even an average human singer would be. Birdsong only sounds pleasant because you've learned to associate the sound of birdsong with pleasant things. This is clearly not uncommon! But don't confuse "pleasant-sounding" with "in key." They are NOT the same. A babbling brook, I might say, is a pleasant sound--but it's not even something that can be easily defined in pitch. Now, what you may be hearing are recognizable intervals between notes being sounded by what I'd call a monophonic pitched songbird. It might be possible to interpret groups of these notes as if they were in a key, and in fact some composers are known to do this (see Olivier Messiaen). However, intervals between pairs of notes don't put birdsong into a key, since every next interval is going to imply something totally different. The intervals themselves are probably based on the harmonic series (since that's the easiest way for physics to work), which is a shared root attribute of human cultural tonality, hence why those notes can sounds like they're "in key". Which you can see is not tonal, in the way we think of music. Depends on the bird, no?! Surely some can sing in tune, on a tone and in harmony. The bird outside my window is currently singing a single phrase repeatedly with a pause, a major descending chord in root position, (soh, mi, doh) followed by an ascending sixth (lah). That is basic harmony my peeps! Other birds do a more fluctuating set of sounds that are more amorphous. And shriek atonally when you try and scare them out of trees (eg lorikeets). I remember being in a local park (St Kilda Gardens, Melbourne Asutralia) and there was a whole mess of birds tweeting incongruously in a big tree which did not seem to settle on any one note, and then this one bird came outta nowhere and did a four note dominant major ascending chord in root position and resolved it back to the main minor key with a vibrato on the final note (eg. G, B, D, F, Eflat). A vibrato! I called it the opera bird, but I don't think that was the scientific name for it. My question is does one bird have a few different phrases and do birds sing phrases to each other that are harmonically compatible.I hazard a yes, although my evidence is anecdotal. I will double check with binoculars that it isnt my neighbours out whistling, but im pretty sure they are local birds! Birdsong cannot be 'out of key', since it is not necessarily tonal - any more than (non-tonal) human speech could be said to be out of key. But that does not mean that some birds cannot (sometimes) sing tonally, just as many humans can. I have read the recommended article by Wallins and Mercer, and they do not rule out tonal birdsong. Over the years I have heard many blackbirds (in particular) repeatedly producing (presumably favoured) tonal melodies, using intervals identical to those of a human major or minor scale. Not having absolute pitch myself, I cannot say in what key (or even if an individual bird favoured a particular key), but using tonic solfa, my impressions is of a preference for the notes 'do - mi - so - la - do'. It seems to me that Birds do not sound out of key or off pitch, what have you, when they sign, because they are higher up in the register where the scale length is getting tighter and it is harder to distinguish off key notes since the intervals are smaller. They have a harmonic overtone and this causes it to be more melodic in the sense that it is more harmonic even though we know melody and harmony are not the same. Reminds me of a story about the Fox and the Crow and the Fox gets the Crow in the Tree to sing for him so that he drops his cheese. Suddenly I feel I may have fallen victim to this very scheme at this very moment as I am trying to sign this tune of why birds have fancy wings.... But I Digress. Also as pictured in the waveform and frequency response curves the sound consists of a more square or sawtooth type wave than a pure sinusoidal wave which accounts for the chirp. Birds do sing in key with music. I first noticed this 18 or so years ago when I was playing piano and a mourning dove wanted to sing along, would wait until the music got into his register, and he was in key with the passage. Basically the bird is compelled to be in key with the music because he is responding to the vibration. 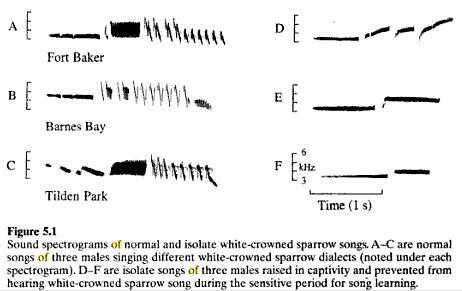 I wondered about this for a couple years, because the more birds I played for the more sang in key with it, and were attracted to the music, but birds also have calls that are not considered songs, and the calls were always in key too, as were the begging calls of their offspring. I boiled it down to the vibration reaction when one night I was leaving a symphony performance and realized the entire crowd (of humans) leaving the concert hall was talking in key with the last chord the orchestra played. (I have absolute pitch and never found it useful for anything until I was able to make these observations.) Furthermore, the cicadas that "sing" in the trees at the outdoor classical concerts at Ravinia in Highland Park, Illinois, are not just in key with the music but they also know the dynamics of the piece and rise and fall with the orchestra. Not the answer you're looking for? 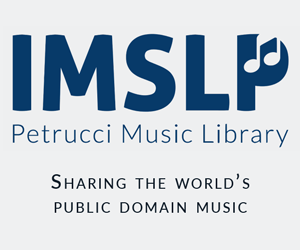 Browse other questions tagged musicology or ask your own question. Is dog/wolf howling considered “music”? The “tunelessness” of birdsong in a “Peanuts” comic strip? Are there any classification systems that categorize music by mood? Lead sheets vs score at vocal auditions: Changing standards? Do we find music arranged according to Western Music Theory pleasing because of “biological instinct” or because of what we learn? if music is universal does that also mean anyone can enjoy most music genres/styles?